Milan is a major world fashion and design capital. 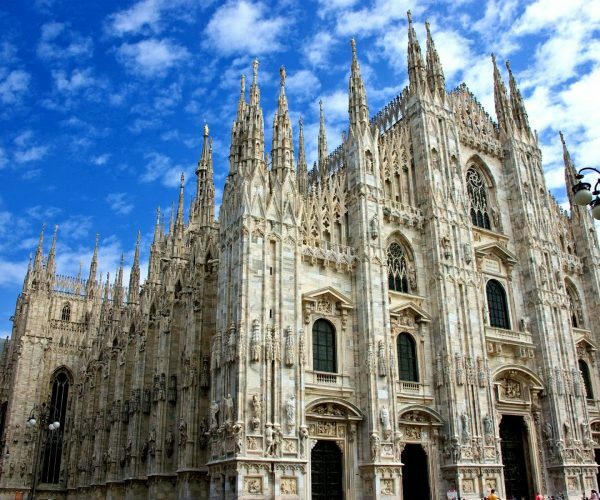 Thanks to its important museums, theatres and landmarks (including the Milan Cathedral, the fifth largest cathedral in the world, and Santa Maria delle Grazie, decorated with Leonardo da Vinci paintings, a UNESCO World Heritage Site) Milan attracts over 6 million annual visitors. For a mere 24 hours Rachel and I were some of those visitors, on our whistle-stop tour of Italy’s famous cities starting in the ever so chic Milan. 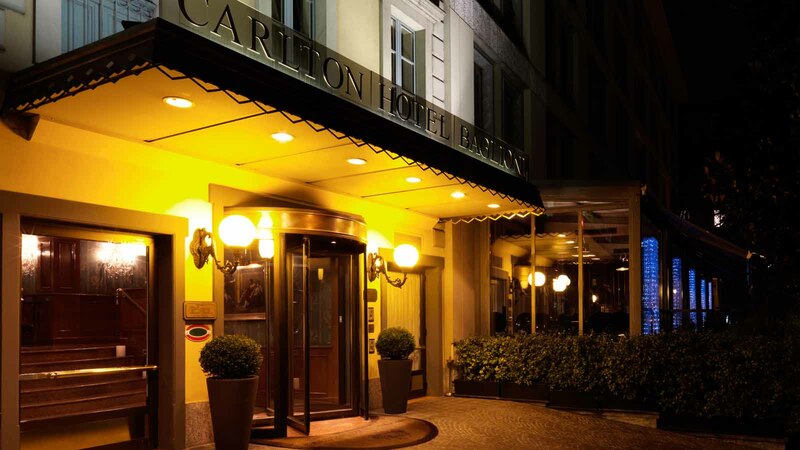 After managing to navigate the airport and get to the city centre relatively pain free (god, how I love continental European cities and their amazing transport systems) we made our way to our hotel for the night, the Carlton Hotel Baglioni. 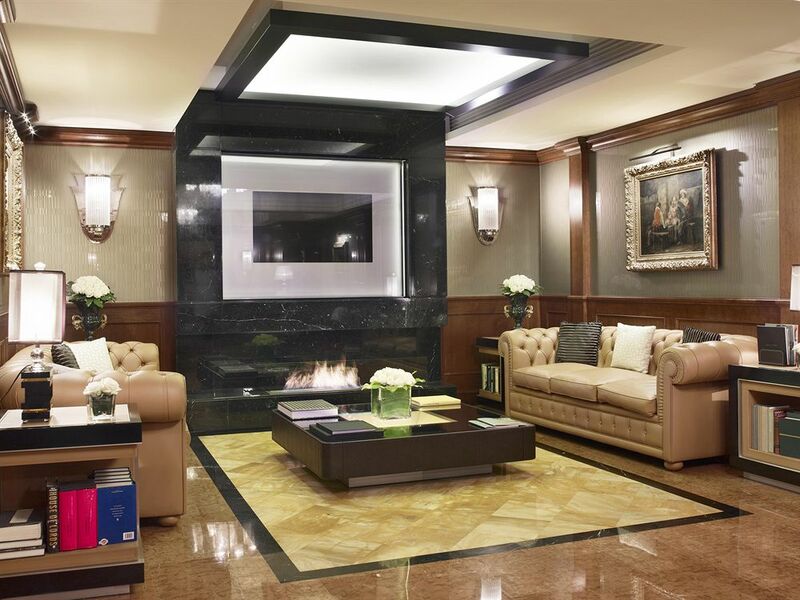 Set at the crossroads of culture, fashion and design, Carlton Hotel Baglioni is the only hotel in Milan that boasts a pedestrian entrance from Via della Spiga, the most glamorous street in the city. 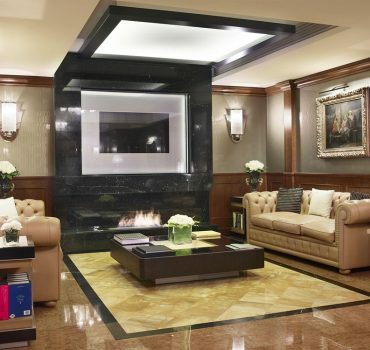 The hotel is just a stone’s throw away from Milan’s prestigious boutiques, the Duomo, the Teatro alla Scala and the financial district. The hotel opened in 1962 in a place where the waters of the inner circle of the Navigli canals once flowed near an old mill. 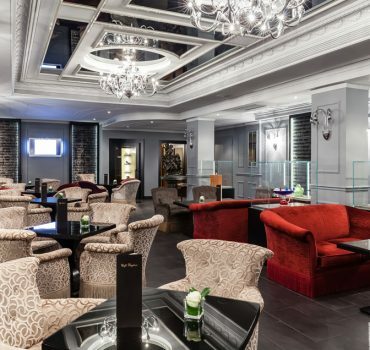 Carlton Hotel Baglioni is perfect for travellers in search of a stylish and yet welcoming atmosphere – like Rachel and I after our less-than-glamorous flight. Sumptuously decorated with authentic antique furniture, marble mosaics and stylish drapes, the hotel attracts many guests with its sophisticated and elegant ambience. After a small tour of the hotel, where we saw the historic city restaurant Il Baretto al Baglioni, a meeting place for international politicians, journalists, fashion stylists and VIPs and the Spiga 8 SPA, a true urban oasis located in Via della Spiga 8, featuring modern fitness equipment, showers, sauna, Turkish bath and a lounge area for relaxing moments, we were shown to our deluxe room. 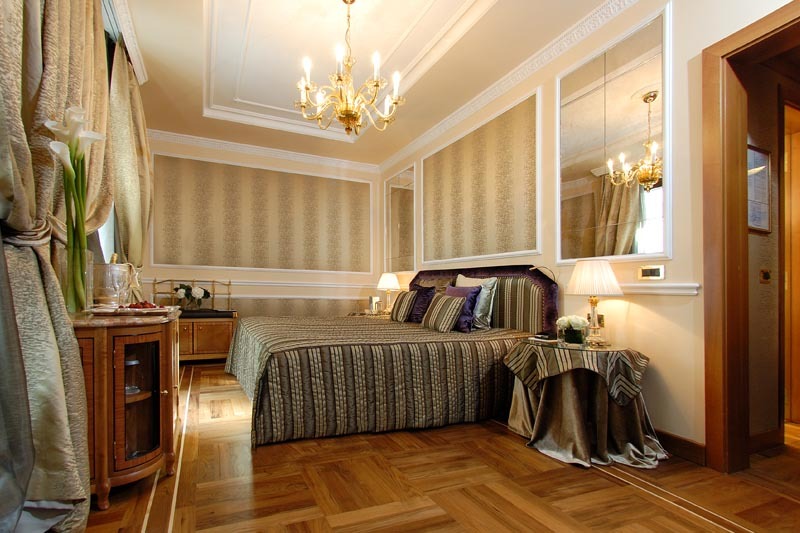 The hotel has 87 elegant rooms and suites, personalised with unique Italian furnishing combining classic and contemporary style. Our deluxe room was situated overlooking the world-renowned Via della Spiga and Rachel and I smiled with glee at this room with a view. 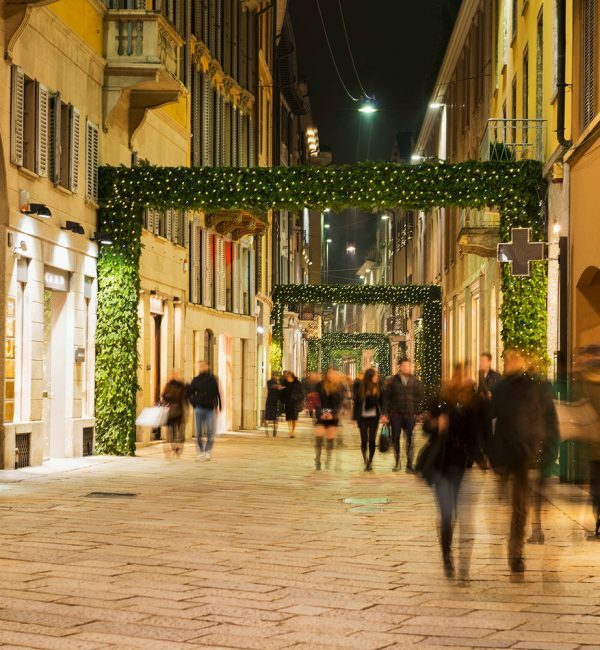 This fashion forward street was dressed in white lights with all the promise of the holiday season and looked like something out of a storybook. Our deluxe room was well appointed, with a king sized bed, desk, wardrobe as well as HD TV and WiFi connectivity. 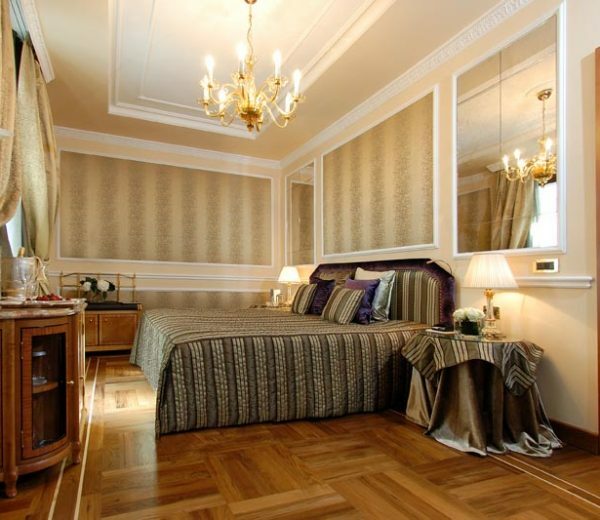 The room was dressed in ornate olive and gold tones with sleek walnut wood furniture and gilt gold chandeliers. The bathroom was also rather grand in that it was wall to wall marble including his and hers sinks, WC, bidet and shower/bath combo. After unpacking for our evening’s pursuits, we glammed up in the plush bathroom and hit the town for dinner at Il Ristorante Trussardi alla Scala situated on the famous Piazza della Scala. Tottering along the cobbled Via della Spiga on our way back we were overwhelmed by the beauty of this tiny street. 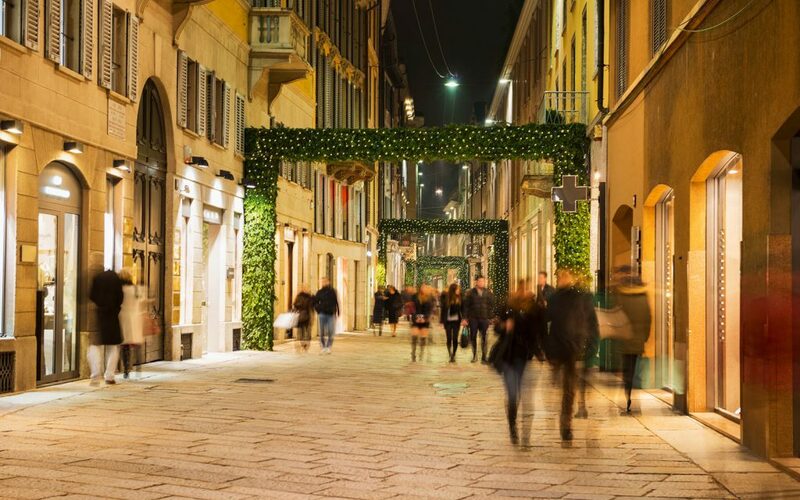 Packed to the brim with the world’s most illustrious fashion labels, there is something magical about this street, especially around midnight on a weekday when all the residents of Milan are tucked up in their beds dreaming of Valentino. It seemed very quiet and peaceful, as though the window displays were waiting for us to retire to the hotel so they could come to life. After a very restful night, we woke to the bells of the Milan, announcing the morning and time to grab breakfast before a day of sightseeing. We took breakfast in the conservatory attached to the main lobby, dressed in shades of lilac and purple the warm Italian sun beamed through the blinded windows. We opted for a mix and match with some of the buffet options from fresh fruit to cereal, as well as a la carte with scrambled eggs and bacon, all washed down with lashings (and I mean I might have got a little carried away) of bold rich Italian espresso. 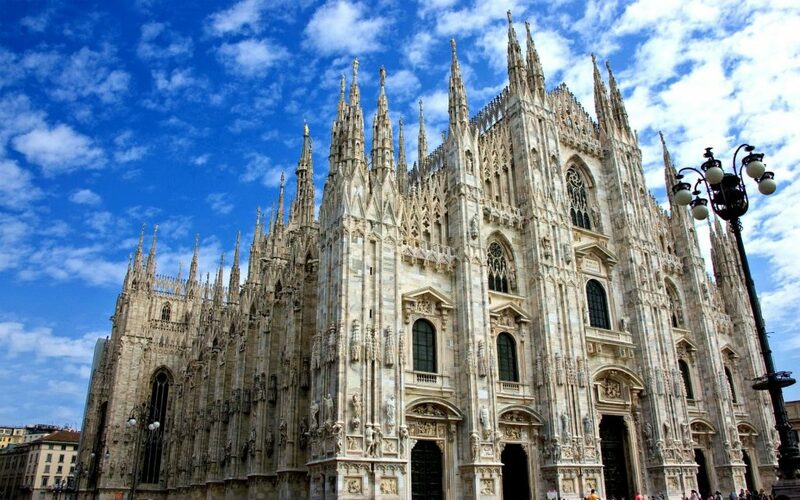 After packing up and storing our belongings at reception we hit Milan proper – first on the list Milan’s Cathedral. Built between 1386 and 1577, is the fifth largest cathedral in the world and the most important example of Gothic architecture in Italy. The gilt bronze statue of the Virgin Mary, placed in 1774 on the highest pinnacle of the Duomo, soon became one of the most enduring symbols of Milan. This impressive building is a true marvel of engineering and beauty. Looming over Milan the gothic arches, spires and windows has endured centuries of unrest and cultural changes but still stands strong at the city centre of this amazing city. After climbing the steps up to the top (NOT for the faint hearted) the view is truly breathtaking with vistas reaching to the Alps. After a quick visit to Galleria Vittorio Emanuele II, the world’s oldest shopping mall, it was time to head back to the Carlton Hotel Baglioni to collect our cases and be on our way. 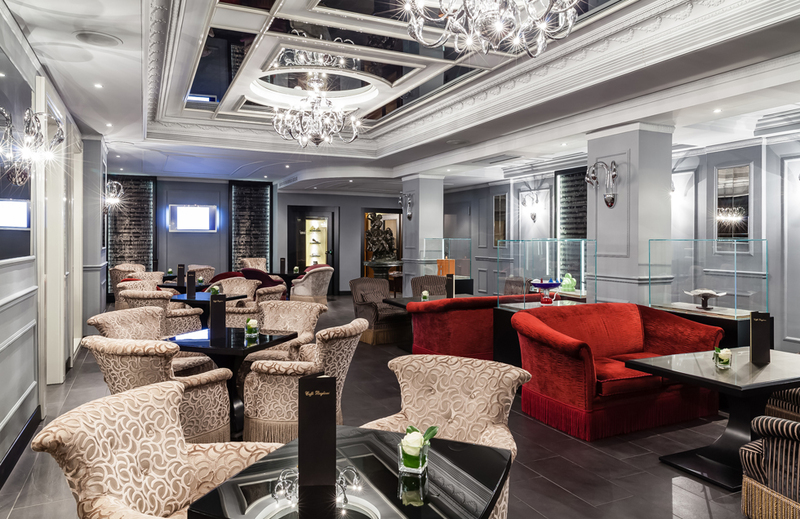 Fond farewells and promises of our return to Milan saw the arrival of our taxi and, as we pulled away from this beautiful boutique oasis in a metropolitan capital, we hoped that our next stop would be as pleasant as this charming cosmopolitan hotel in Milan.